Henderina Polak lived in Meppel during the war. On the 14th of December 1920 she married Raphael Pais, born in Harlingen on the 9th of March 1893, son of Aäron and Mietje Pais. Raphael was a ‘tagrijn’ (trader in ship supplies). Because of his profession the couple went to live in Harlingen at 19 Noorderhaven. There on the 7nd of Oktober 1921 their son Aäron was born, on 2 July 1927 followed by a twin the sons Marcus and Izaäk. The housekeeper Ida Frank was also living with the Pais family. Before her divorce Hendrina Polak lived in a big house overlooking the harbour in Harlingen. The marriage of Henderina and Raphael was short lived. Henderina returned to Meppel with her twins. 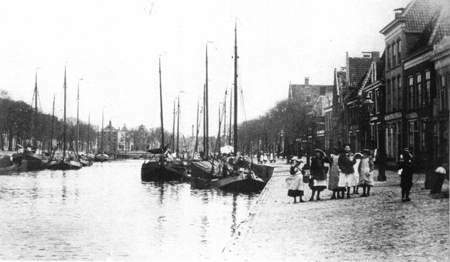 Contrary to what was written in a note of the 15th of September 1941 by the Council of Meppel, Henderina was not a widow. Raphael later married Rosa Heijman. Henderina and the children came to live at 29 Jan van Galenstraat. For quite a long time they had the widower Phillipus van de Rhoer as a lodger. During the war he moved in with his sister in law (sister of his deceased wife) Henderina Cohen, who lived on the Keizergracht. 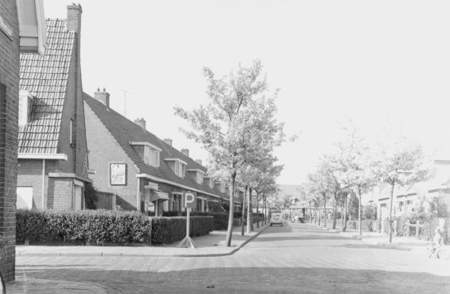 Henderina’s two sons were often with their grandparents who lived on the corner of Hoofdstraat and Woldstraat. Henderina and her sons will undoubtedly have been confronted with the German occupation. The worst moment was when Marcus and Izaäk were no longer permitted to attend the Vledderschool, where they were in the 6th form. That was on the 27th of August 1941. About a year later the final exclusion came, first out of Meppel and then out of life. Henderina and her boys were taken out of their house on the 3rd of October and on the 5th of October they were deported to Auschwitz. On the 8th of October they died in the gas chambers. A lonely mother of 48 with her two sons of 15.